BRYAN EATON/Staff Photo. 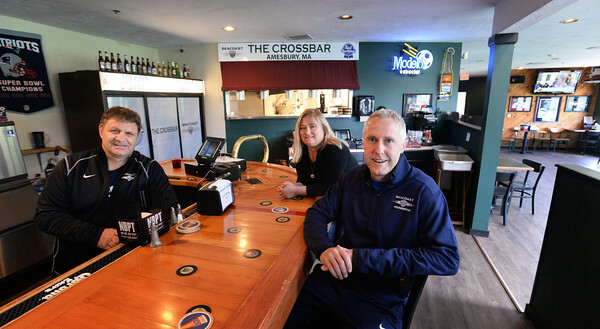 The Crossbar at Amesbury Sports Park is opening on Saturday. From left, manager Frank Annaldo; events manager Michele Annaldo and owner Ian Burgess.